High St. This image is of an apartment block that has and advertisement for Coca Cola on the side of it. 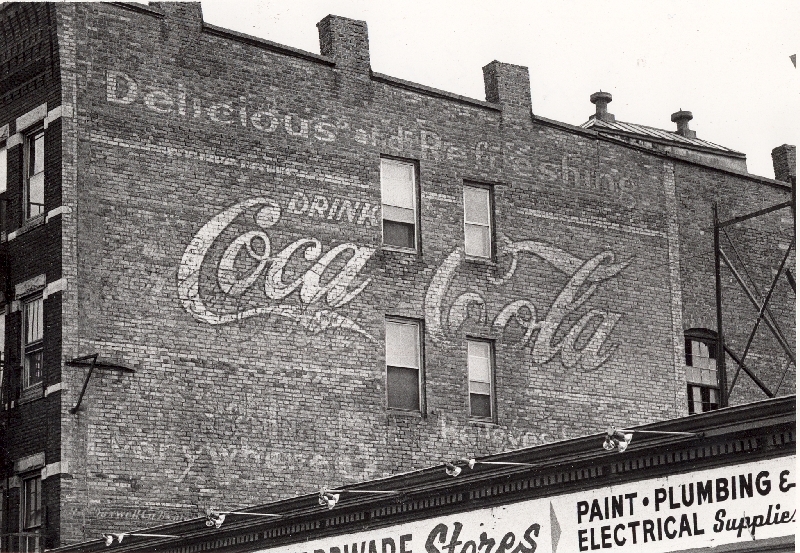 "Apartment Block Advertising," in Creating Holyoke, Item #78, http://creatingholyoke.org/items/show/78 (accessed April 18, 2019).